Superior Septic Services has your septic repair near Brier. Early warning signs that your septic system might need help include odd odors near the septic tank or leach field, bubbling drains or backwash from one drain to another. Septic tanks come in two types: gravity feed, the more traditional type and the newer above ground tanks that require pumps. 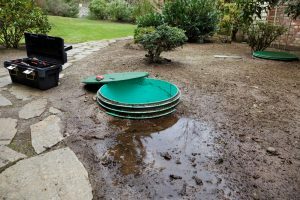 As you might guess from regulations that say that gravity feed tanks need to be inspected every three years and that the above ground type needs a yearly inspection, the above ground septic tanks have more things that can go wrong with them. They are dependent on pumps to move things from your home into the tank, so that is logical. Septic repair often involves pumping the tank out. It makes it easier to see what is going on, and it removes the buildup of solid matter, including materials that have gotten in there that won’t biodegrade. Biodegrading (a fancy word for rotting or decaying) is an essential part of the health of your septic tank. Bacteria break down the solid wastes from your home, minimizing buildup. 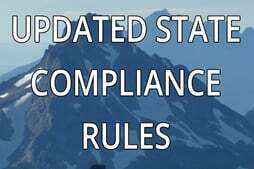 But if too many non-degradable items, such as disposable wipes, diaper liners, and even kitty litter get in there, they build up and eventually clog the system. Other repairs might include broken baffles, loose risers or riser caps, or faulty pumps. Call Superior Septic Services at (425)905-2485 if you are seeing signs that you need septic repair near Brier. We’ve been in the business more than 25 years, and we’ve seen just about any kind of repair you can think of for septic tanks, and we can fix most of them. In a few rare cases, the only “fix” is to replace the septic tank. We can do that, too.